There isn't much that sends fear down our spines like the thought of a clothes moth. If you have seen the damage they can do, well... you know. 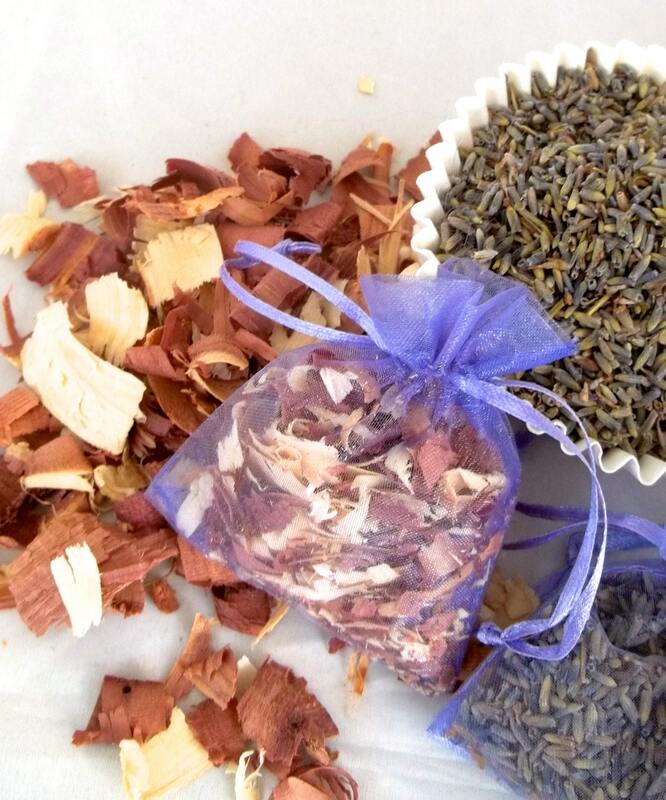 Fortunately, the first line of defense is a delightful solution--lavender, cedar--or both! 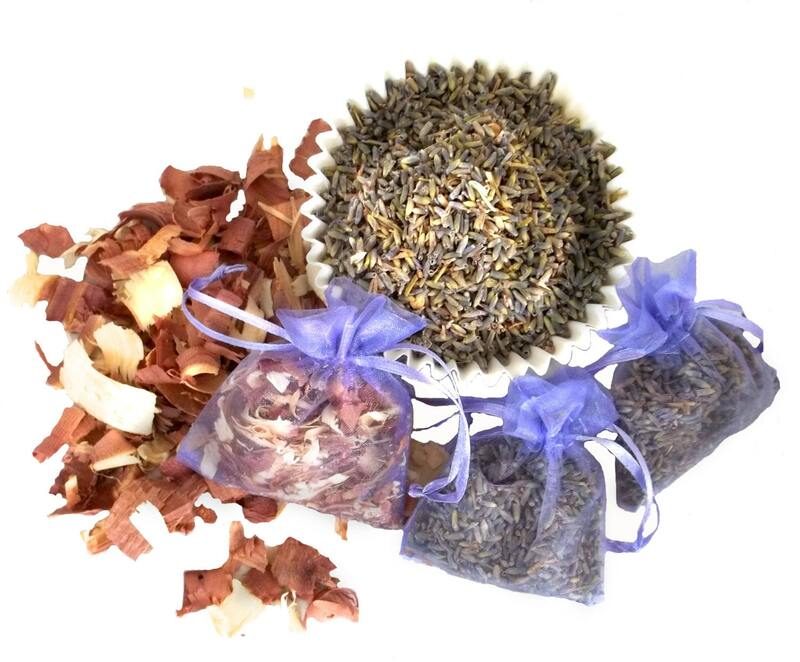 These are a lovely alternative to those foul smelling and toxic moth balls. That said, we do recommend something stronger for *long term* storage or for *raw* fleece. 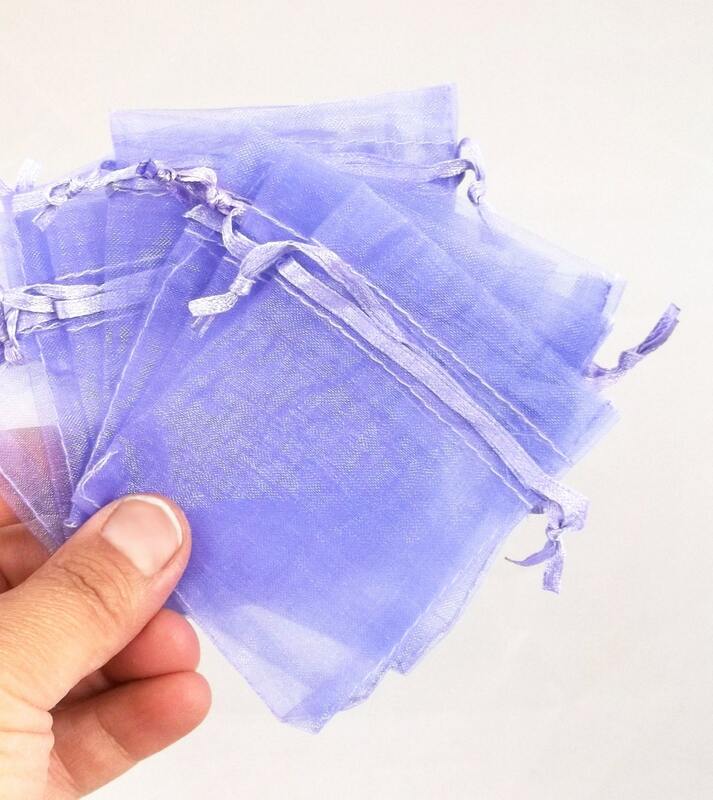 These little sachets are perfect for project bags and boxes, drawers, linen closets-any spot that you are in and out of regularly. We carry them in everything, tuck them away everywhere to protect our yarn, fibers, protects, sweaters and socks. They smell wonderful and we use so many of these that we buy the cedar and lavender by the pound--and the studio always smells divine. People ALWAYS remark on how good it smells! So ... one day recently it dawned on us. Why aren't we offering these to our clients? 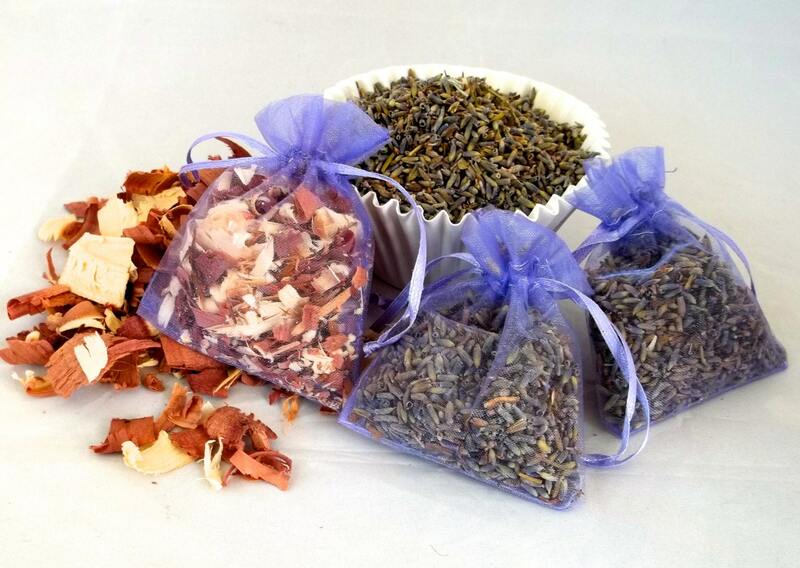 3 small/mini sachets, 2" x 2.5" (They are very small and very cute!) 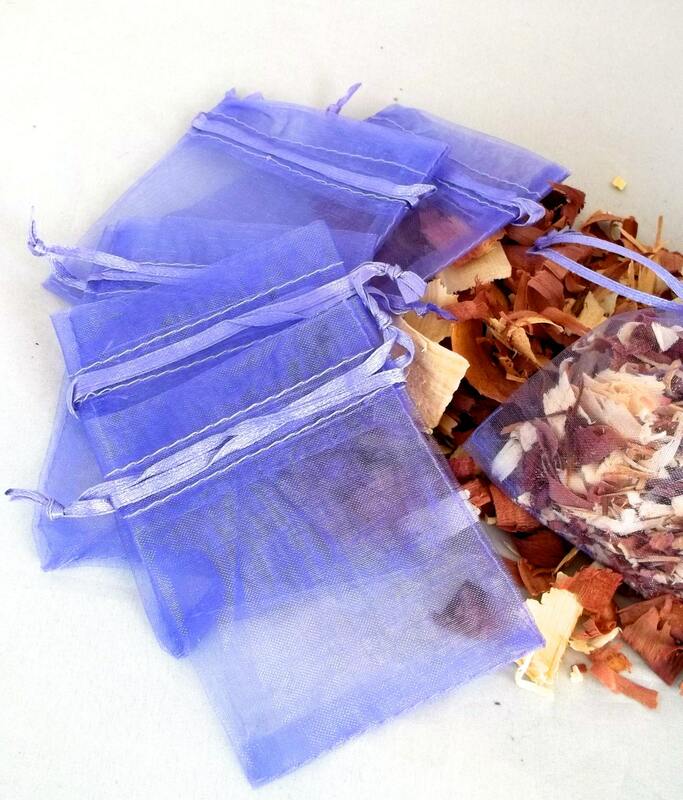 in a purple, reusable, refillable organza drawstring bag filled with lavender, cedar, rose (not yet pictured) a mix of all, your choice. To refresh the fragrance, all you need you need do is squeeze them! Thank You - Excellent Service!! !